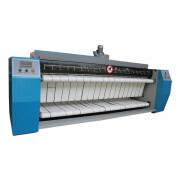 1.Commercial ironing machine is a small flatwork ironers, which is space saving, installation against the wall is possible: front feeding, front return, special suitable for small hotel, laundry shop. 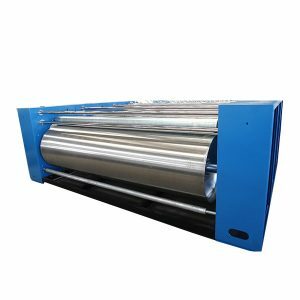 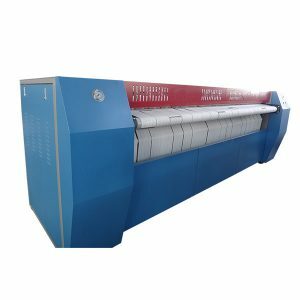 2.The cylinders of commercial ironer is made of high quality stainless steel with large surface contact with linen over an angle of 300°, more ironing and drying efficiency. 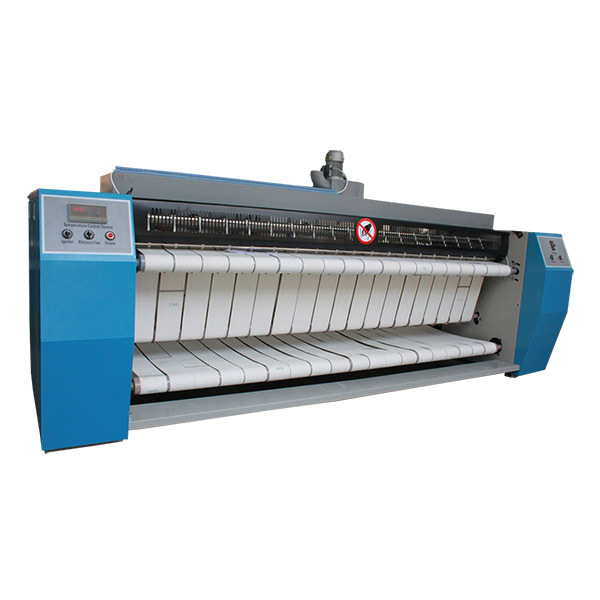 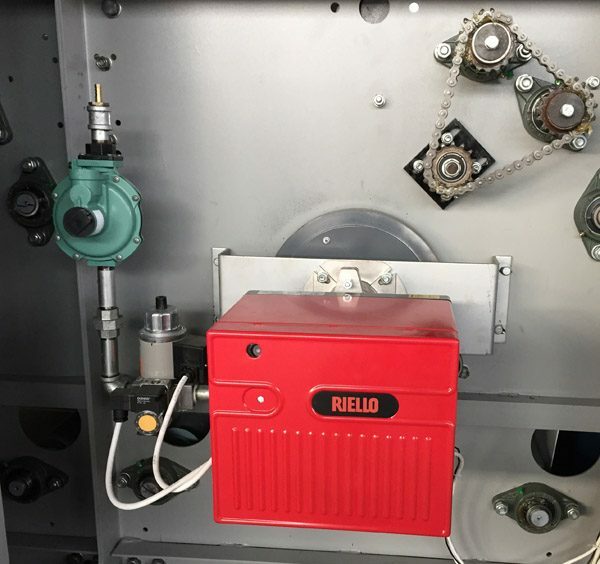 3.The feeding side comes with a full length finger guard panel that will stop the machine if activated to avoid any unexpected accident. 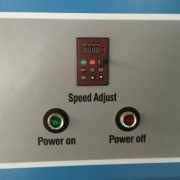 Easy accessible emergency stop buttons for more safety. 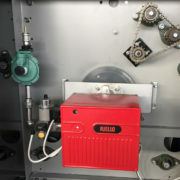 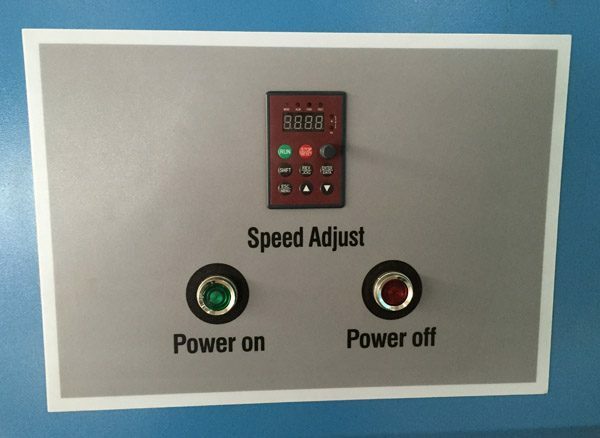 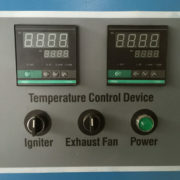 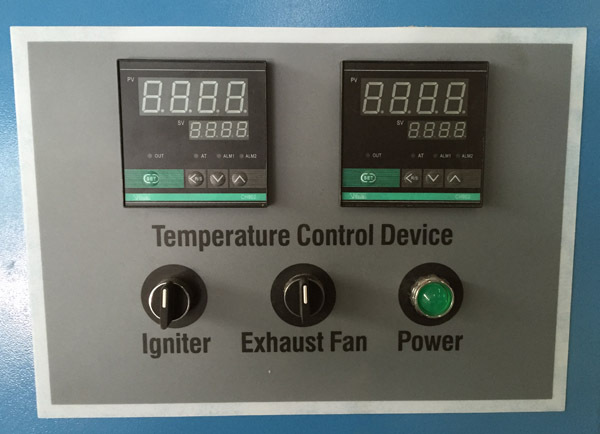 4.Easy to operate microprocessor, indicate of ironing speed and temperature, frequency inverter driving. 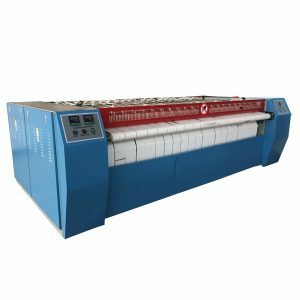 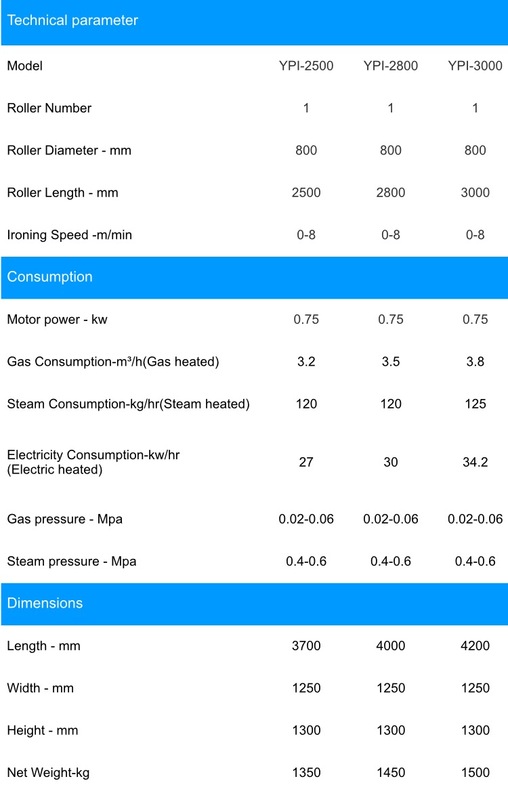 5.Electric heating, Steam heating, Gas heating or Thermal oil gas heating commercial ironing machine is for your choosing.